The National Society of Black Engineers (NSBE) was created by two engineering students at Purdue University, Edward Barnett and Fred Cooper. NSBE’s main goal is to provide academic and career opportunities to its members through various programs, scholarships and training. 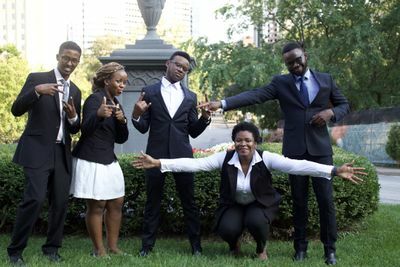 The mission of the National Society of Black Engineers (NSBE) is to increase the number of culturally responsible students who excel academically to also succeed professionally and thereby make a positive impact in the community. Our objectives are to stimulate and develop interest in engineering, sciences and business. We encourage members to seek advanced degrees in their fields and to obtain professional registrations. empower engineering students from different minority groups through events geared towards academic and career development. encourage the enrollment of young adults from minority groups in STEM fields. NSBE McGill was established in 1991. It is the first international chapter to be created and is part of the NSBE Canada zone. This page was last edited on 26 June 2018, at 19:05.